I have been trying to build my own VTOL air plane. My first attempt was rather experimental type using EDF however was not so successful due to low efficiency of EDF itself. So I decided to go with more conventional type aircraft like Convergence VTOL from horizon hobby but don't want to just make the same plane again and finally choose mini skywalker from hobbyking. 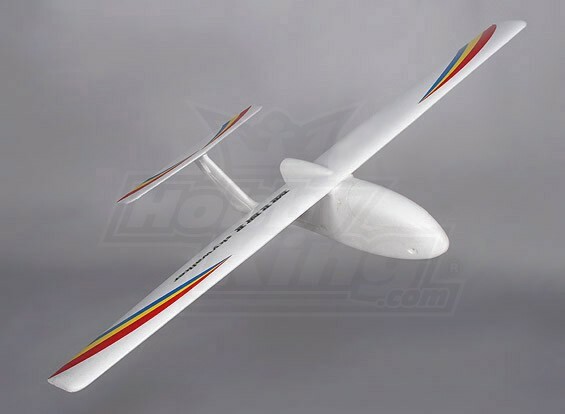 This plane is mini sized version of famous original Skywalker, a long range FPV plane with 1680mm wingspan and has almost identical stable flight characteristics. 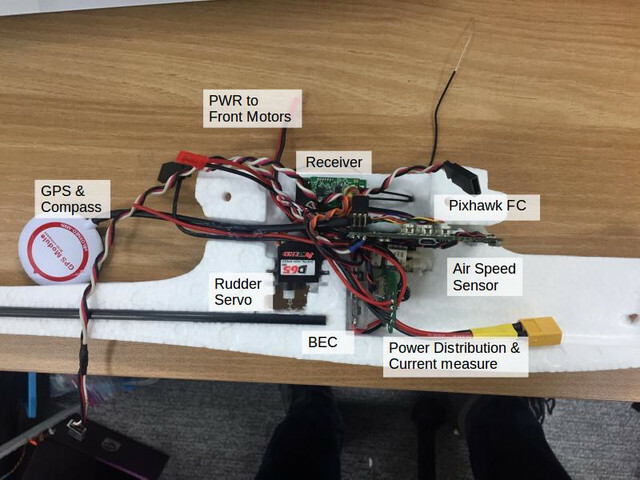 The setup is pretty much the same as VTOL Convergence kit except this plane has full AER(Aileron, Elevator, Rudder) control as below image. I used 1806/2300kv BLDC motor mostly used for FPV racing drones. They are very light yet produce enough thrust to lift all the weight with all 3 motors. The hard part of course is making the 90 degree tilting mechanism. Since the front 2 propellers have to move individually to control the yaw, I had to put a servo to each wing. I borrowed a collective pitch control arm from old T-REX 450 helicopter and connected between the motor mount and servo horn. This setup helps reduce possibility of servo damage due to vibration from the motor and props. I used Corona CS238MG Metal Gear Servo 4.6kg / 0.14sec / 22g servo for this setup. I will share the 3d print ready stl files of the design later. 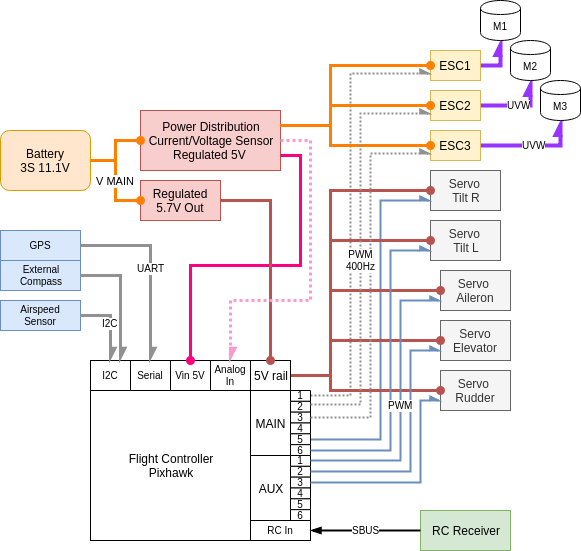 All the equipments including the main FC, power distribution, servos, ESCs are connected as below diagram. MAIN 5-6 connected to tilt servos and they are all analog mini 19g servo. 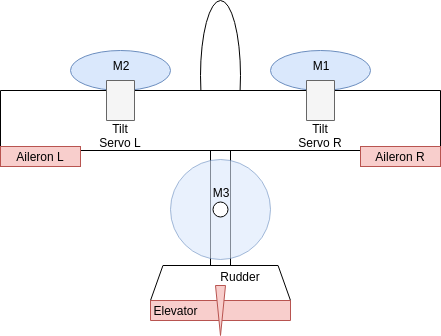 Compare to Convergence VTOL setup described in the tutorials in https://docs.px4.io/en/frames_vtol/v...pixfalcon.html above setup requires separate control for aileron, elevator, rudder. All the scripts and necessary files are included in my git https://github.com/kyuhyong/Firmware.git with branch "vtol_skywalker"
To choose the vehicle named "vtol mini skywalker" you may need to flash the .px4 file from QGroundcontrol software. VTOL requires so many things together and often becomes messy with all the wires and connectors so I was worried if the kit is too small for assembly. Fortunately this kit has enough room for housing all the stuffs needed as below picture. Hovering test was done in last December but the freezing cold weather in Korea prevented me from doing actual flight test until I finally made the first and successful flight on Feb 6. Below video is all about it. Sorry about poor video editing and camera. I was holding the gopro camera on my head. The flight log of above flight is down below. Transition from vertical take off to fwd flight was very gentle and no significant loss of altitude however reverse requires some skills as the plane may turn in place after stopping from fwd motion if the throttle input is too low. So I have to care not to lower the throttle too much while descending to land. Flying was very stable with a little help from stabilized mode. Finally I can fly a fixed wing aircraft that can take off and land on a tiny little spot! Thanks for reading my post and if you have any questions please leave a message below. I will try my best to explain. Yet another successful flight in a slightly windy day. I put the camera where canopy usually sits and this made the plane a little nose heavy and hard to climb. But it flies quite well thanks to a little help from the auto pilot. Next time I should put it in the upper wing and see how it improves overall performance. Also you can find the log of the above flight here as well.